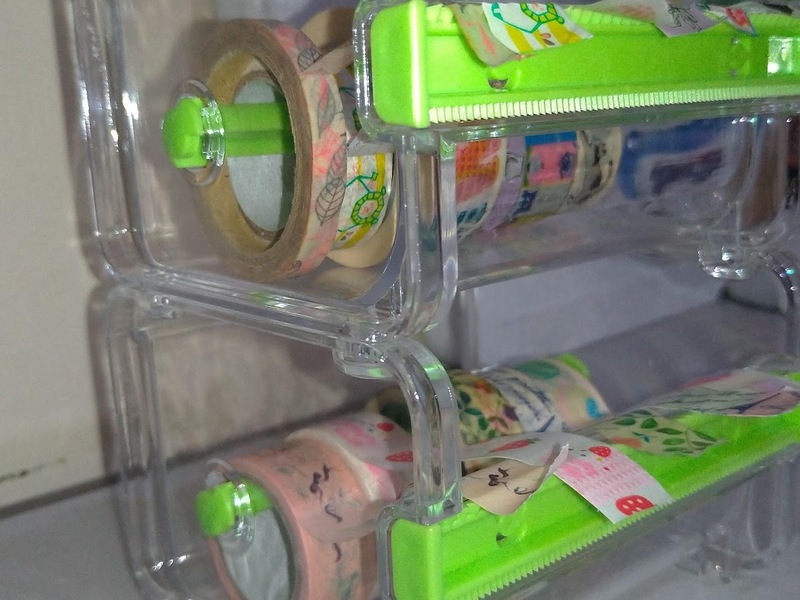 I ordered this washi tape dispenser after I saw another crafter using it. She bought hers from Amazon and when I checked the price, I was like, "nope. No way!" 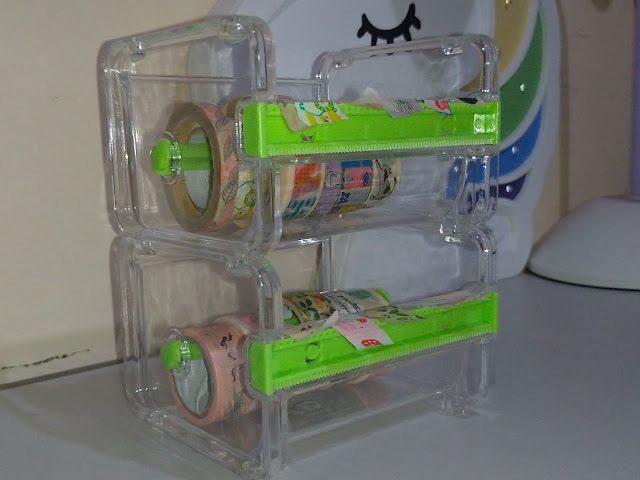 I did the next best thing and that was to look for an alternative at Lazada and I found Kacoo Tape Dispenser. I was worried that it wouldn't look like anything the other crafter had but lo and behold, I am pretty pleased with it. I ordered two pieces (I really should have gotten at least 10 because I have so many washi tapes) and this is what it looked like. 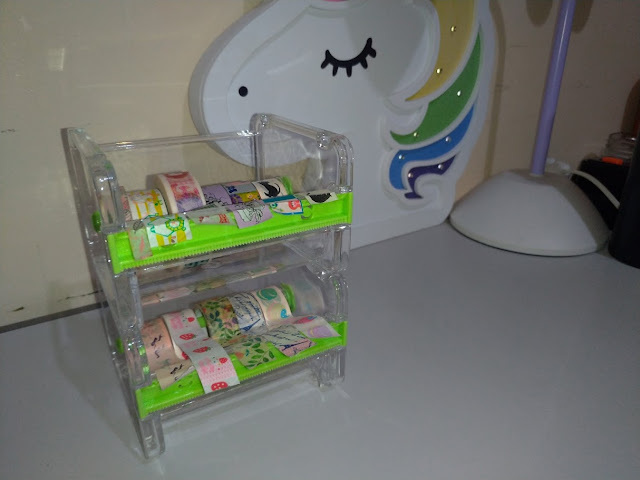 I wasn't able to take a photo without the washi tapes because I was too excited to see if it would actually work and it did. Now what I really love is that you can put one on top of the other and it looks seamless. It's a stackable washi tape dispenser. OMIGOD. This one sells for Php221 when I got it. It's originally priced at Php800+ so I'm glad I was able to buy these much lower. It was very easy to use. 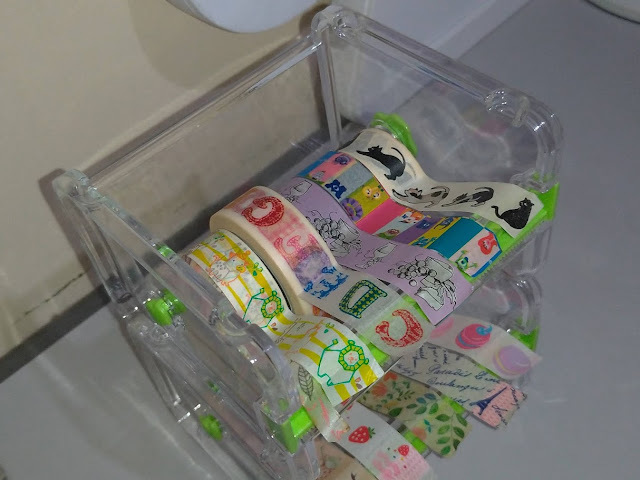 I didn't struggle with putting on the washi tapes and by the looks of it, it can easily cut the tape without any problem so that's a good thing as well. This will make journaling more fun for me since these washi tapes I chose to bring out will be used most often compared to the others. I cannot wait to show you guys my journaling pages soon.